A Donnington woman lost sentimental items in a break-in at her home after Christmas but she has thanked 'brilliant and kind' investigating police officers. Jane Ambrose, 64, said thieves 'ransacked' her house in Stockbridge Gardens and 'took everything' on December 27. "[The thieves] ransacked my house but there was no damage," Jane said. "I was going away for the new year to Canterbury with a group of friends and was nearly at my destination when I got a call from my neighbour telling me I had been burgled. I immediately turned round and it took me two and a half hours to get home again. "They had broke in through the patio doors and they took everything. They raided my safe. "The police were here within two minutes when my neighbour raised the alarm but they got away by jumping a six foot fence." 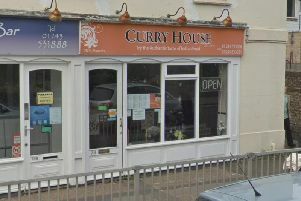 Sussex Police said it received a report of a burglary at the house at about 5pm. "Officers attended and carried out an area search for the suspect, however there was no trace," a spokesman said. "Entry was gained to the property while it was unoccupied and items including watches, a camera, a keyboard and a small quantity of cash are reported to have been stolen. "Forensics investigations have been carried out and there are no further lines of enquiry at this stage." Jane said she lost sentimental items in the break in, including charms which her auntie had accumulated whilst living in Canada for 62 years. Jane added: "They were beautiful London trinkets. They also took Christmas earrings and rare London 2012 Olympic Games 50p coins. "My parents' 65th wedding anniversary ring was also taken. My dad had remade the ring especially for it. "I am very saddened. They had real sentimental value." Despite losing so many priceless items, Jane, who is a church warden at St Peter's Church in Westhampnett, said she 'couldn't thank police enough' for their efforts. She said: "The police have been brilliant. They have been really kind. "They have come round on two occasions to take finger print samples and have handled the situation with such niceness." Police asked anyone with any information to report it online or call 101, quoting serial 756 of 27/12.